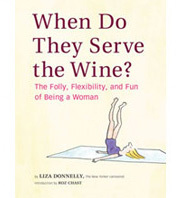 Fairy Tales and Fox | When Do They Serve The Wine? This cartoon needs no explanation. I drew it last week, thinking about Murdoch, and then all this wrangling over the debt ceiling. Who has the truth? All the networks spin, but I am willing to bet the truth is not to be found on Fox News. This entry was posted in Random but Relevant and tagged Fox News, news, Politics. Bookmark the permalink. Fairy tales at least tend to have morals more often than Fox News! Love it! I doubt that it is within our power ever to know the complete truth, but I’m dismayed by all those who will swallow the partial truths of Fox News and then spew them out as the gospel. I like this one, but it is problematic in that it could be read as a compliment to Fox News. 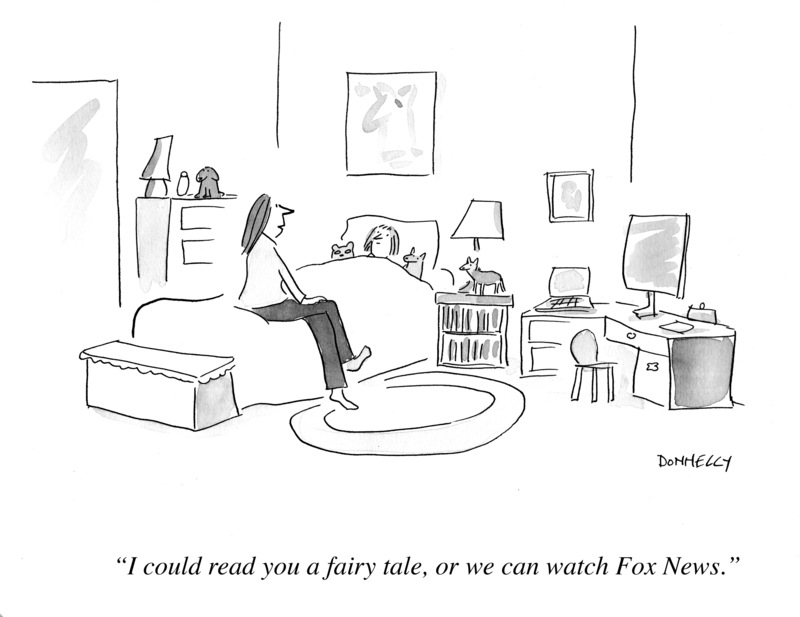 That is, EITHER you can hear a fairy tale OR you can watch Fox News, or in other words, Fox News is your only alternative to hearing fairy tales in the media. Excellent point, Jay. Well….I’d have to think about how to word that differently. But I think people got the idea. the first time i watched fox news was through foxtel, where i was doing some house-sitting for the owners who were on vacation. i am australian, and watch free to air tv programs (no fox/tel), so had never seen fox news before. after 15 minutes of watching said program, i honestly thought i was watching a comedy program that was trying to be satirical. the one sided, republican spewing, obama bashing, was SO over the top, i find it difficult to understand how it can be considered actual “news”.